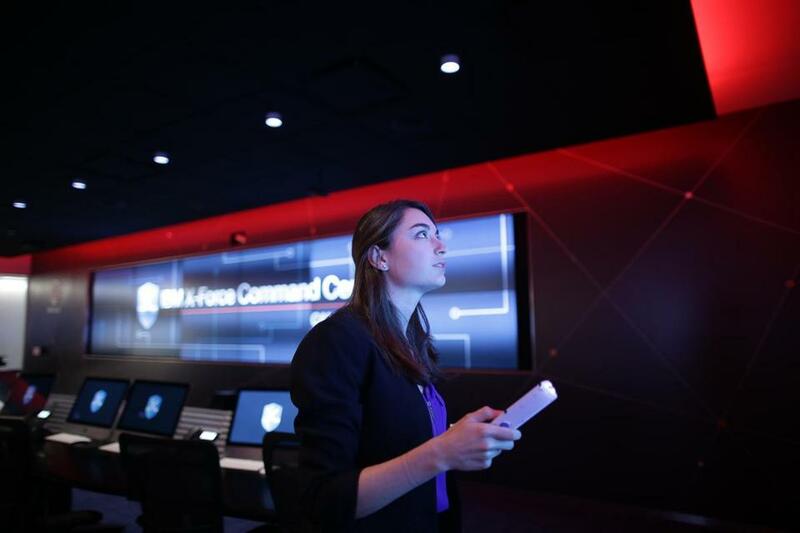 Allison Ritter is the creative director of IBM’s X-Force Command Center in Cambridge. You don’t need to be a hacker or coder to train executives on how to handle cybersecurity emergencies. Just ask Allison Ritter. 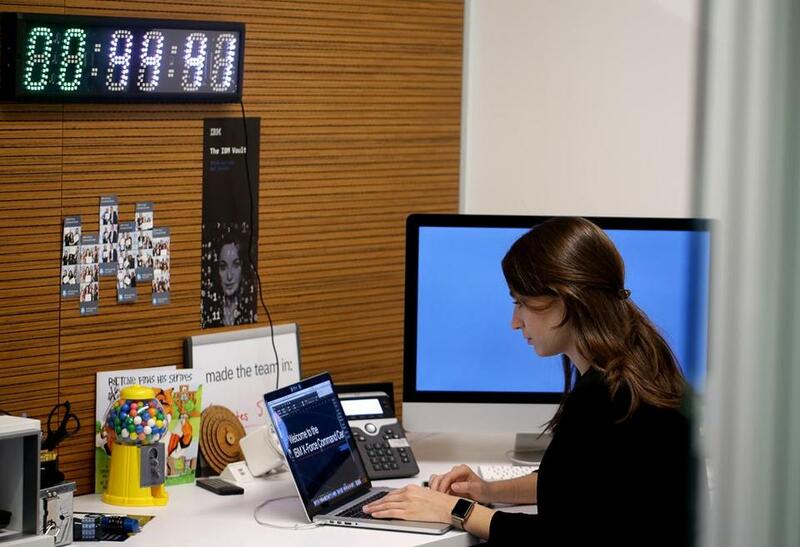 The 26-year-old creative director at IBM’s X-Force Command Center draws on her media and theater training to scare clients into shoring up their practices. Though cyberattacks are an increasingly common threat for corporations, many businesses still have never faced one — which means they can be caught flat-footed when it’s time to respond. The command center in IBM’s Cambridge office acts like a flight simulator, using a suite of audiovisual prompts and artificial crises to help them practice without breaking anything. Clients game out a scenario in which they’re confronting a data breach that feels very real. Televisions blare reports of the incident even as the team is still grappling to understand what happened. Social media lights up with critical posts. The stock starts to drop. 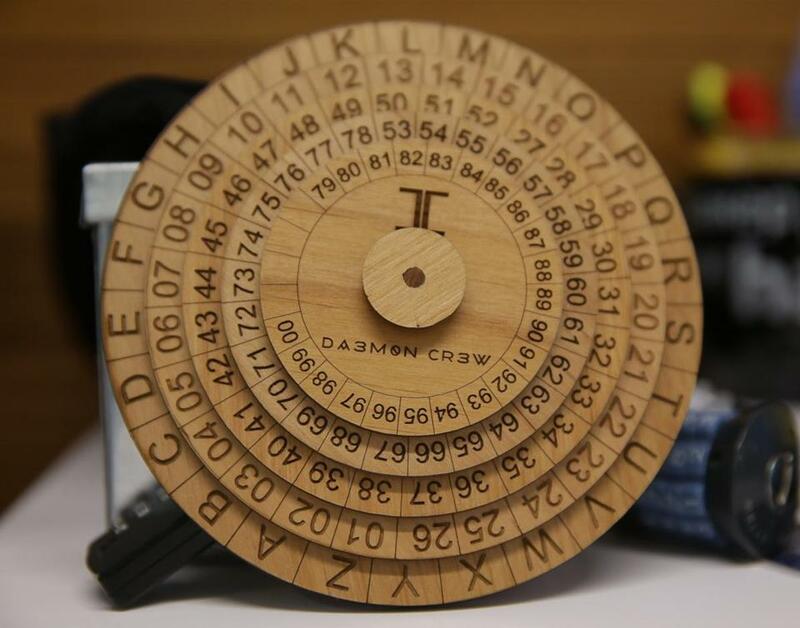 Even those uninitiated in the dark arts of cyber warfare can take on a cryptography puzzle using this wooden cipher wheel. A wooden cipher wheel. Ritter has many high-tech items at her disposal when she creates training experiences. But they don’t always work. Sometimes clients — especially those who aren’t particularly tech savvy — need a more analog way of learning about cybersecurity. Using objects like this one, which can help decipher a puzzle or crack an encrypted message, helps get participants in a better state of mind for working through a security challenge. 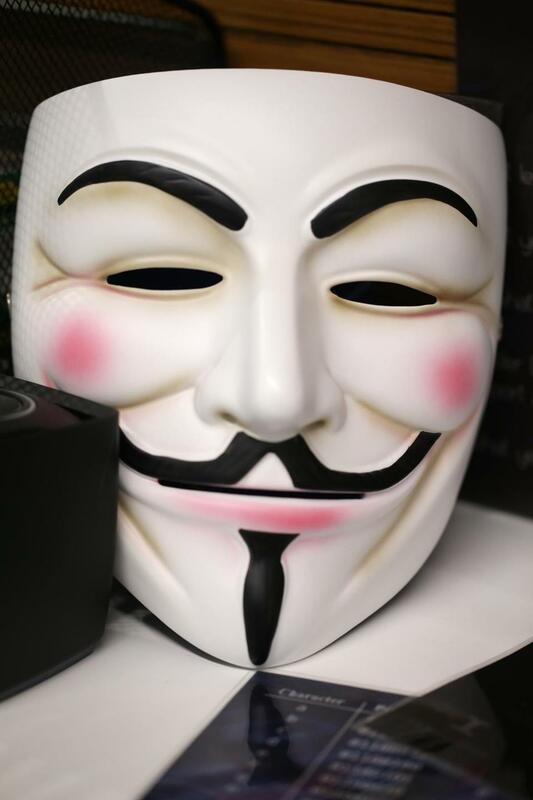 The Guy Fawkes mask is an well-known marker of hacker culture. Ritter uses this one in acting out scenarios for clients. A Guy Fawkes mask. If you had to picture a hacker, you might envision a person wearing one of these. Sometimes, when clients in the command center think they have things all figured out, Ritter uses the Fawkes mask to change the game. In recorded videos, Ritter — or another actor claiming to be part of the “Daemon Crew” — introduces new information about the threat, forcing participants to change their response. Ritter says acting is a big part of building meaningful experiences for people in the command center. 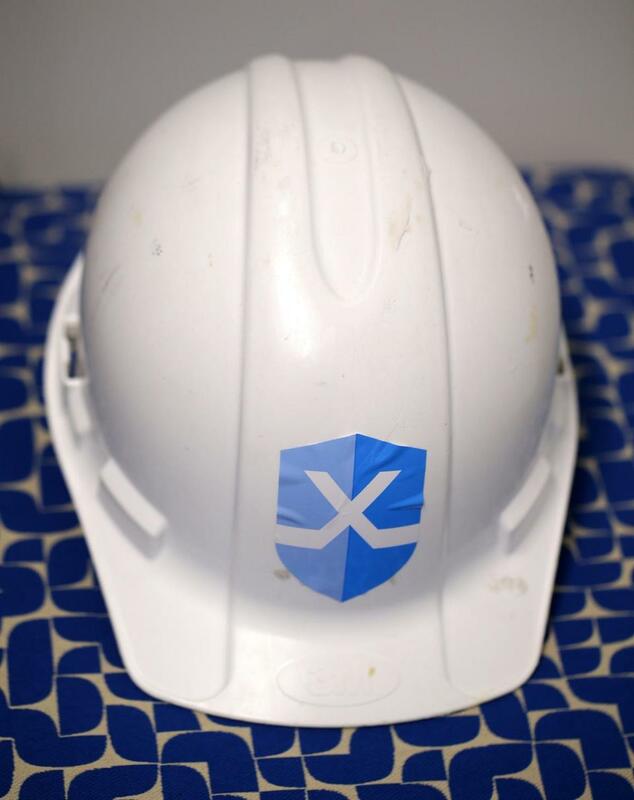 A hard hat reminds Ritter about her first day at work, when the idea of the Command Center was still taking shape. Today, the command center is an imposing space. The company even equipped a large truck with similar equipment so clients can do cyber exercises at their own facilities. But when Ritter started, the idea was still taking shape. She says she had to convince Caleb Barlow, vice president of threat intelligence at IBM Security, that she had the right background for the job. She had come from a marketing role at another tech firm, and IBM was considering her for a similar role. On her desk is a gumball machine, which helps symbolize to her the learning possibilities in trying something new. 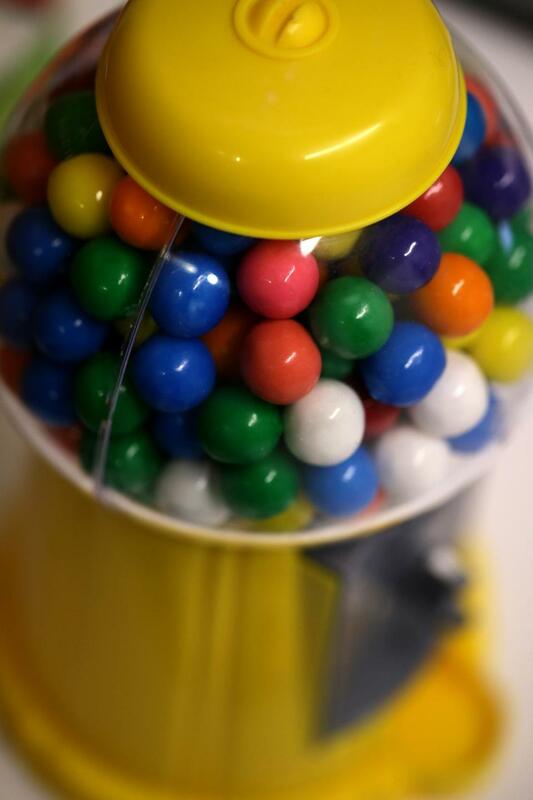 A gumball machine. Ritter keeps one on her desk as a reminder of an important memory from the Rochester Institute of Technology, where she went to college. Ritter was at work in her office in Cambridge.